Hidden Identity Chicago Blackout is all about putting back the pieces of your memory as you wake up in a decidedly dodgy hotel room without a clue of how you got there! 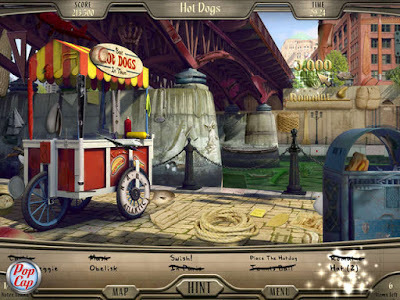 Enjoyable challenging hidden object searches, fun word games and plenty of engaging mini-games all come together in this fast-paced hidden object mystery game from PopCap Games. Unmask the mystery of who you are in Hidden Identity™ - Chicago Blackout, an eye-opening search for answers. Dazed and confused, you slowly open your eyes. As the surroundings come into focus, you quickly realize that this is not a familiar place, but a hotel room. What are you doing here? How did you get to this location? Most importantly, what is your name? As your mind races to make sense of it all, it becomes very clear that the answers to these questions won't be easy to come by. Explore scenes from an unfamiliar past and search for objects that will help piece your identity, and this mystery, back together. 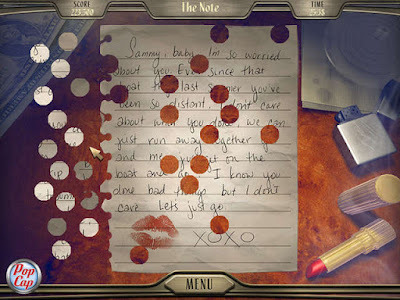 Scour the Chicago streets to uncover all of the secret notes that you left behind. Are these valuable clues? Play unique mini-games to jog your memory. Find the answers quickly and earn special speed bonuses. 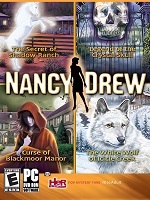 Can you unravel the mystery and discover your true identity? Reveal your lost identity in this fascinating Hidden Object search. Search for reasons to your current mysterious situation. Explore Chicago and collect clues to a forgotten past. Play unique mini-games and jog your memory. Find all 50 secret notes and unlock Endless mode.